Spring Break is approaching and there is no better place to spend it than at the Disneyland Resort. The beautiful California weather in March along with the great extended hours at Disneyland make it a perfect time to plan your visit, without the kids missing any school. Take them on a vacation they will remember for years to come. Disneyland park offers something for everyone including rides, shows, character meet and greats, and a plethora of fun activities. Their downtown area offers a great selection of fantastic restaurants including Rainforest Café and Tortilla Joes. Experience both parks with a park hopper ticket. If you buy 3 or more days from our hotel you get a $5 discount per ticket AND a magic morning early entrance for 1 of your visits. That extra hour can really come in handy to get the most crowded rides done early in the day with less wait. Desert Palms Hotel is the perfect place for your family during your Disneyland Vacation this spring break. With our wide selection of family-friendly rooms, we really do have something for everyone. Whether you need bunk beds, a full kitchen, or 2 bathrooms, the perfect option for you is waiting! 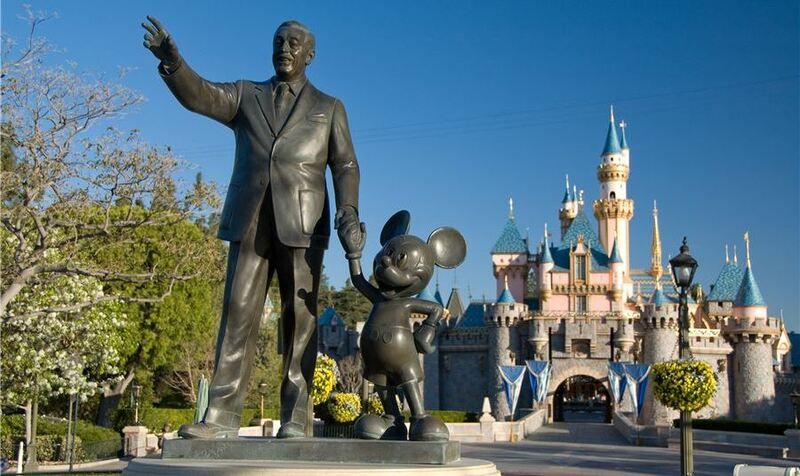 We are located on the same block as Disneyland, so you know getting there will be a breeze. A quick stroll through the beautiful resort area and you are at the parks within minutes. With our location next door from a convenience store and across the street from a CVS and Walgreens so getting some essentials like snacks or small groceries is simple. We are also across the street from an outdoor shopping center that has a wide array of amazing restaurants, so you definitely do not have to worry about going hungry. Not feeling like venturing out for food? Visit our on-site restaurant, the Oasis Kitchen and Bar. They will even deliver straight to your room. This year spending your spring break at the Happiest Place on Earth has never been easier by booking your stay with the Desert Palms Hotel and Suites.